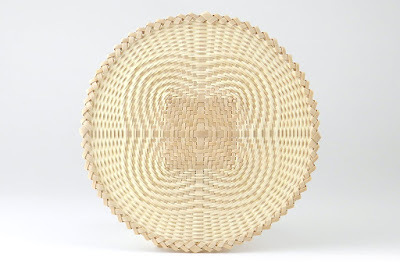 Shaker baskets can be divided into two major groups, fancy work–small delicate basket sold to the World’s people (those outside of the community) and utility–sturdy baskets made to be used for daily chores of the Shaker brothers and sisters. Join JoAnn to make this incredible trio of 1/4 sized classic Shaker utility baskets, the carrier, wash basket and wood chip. 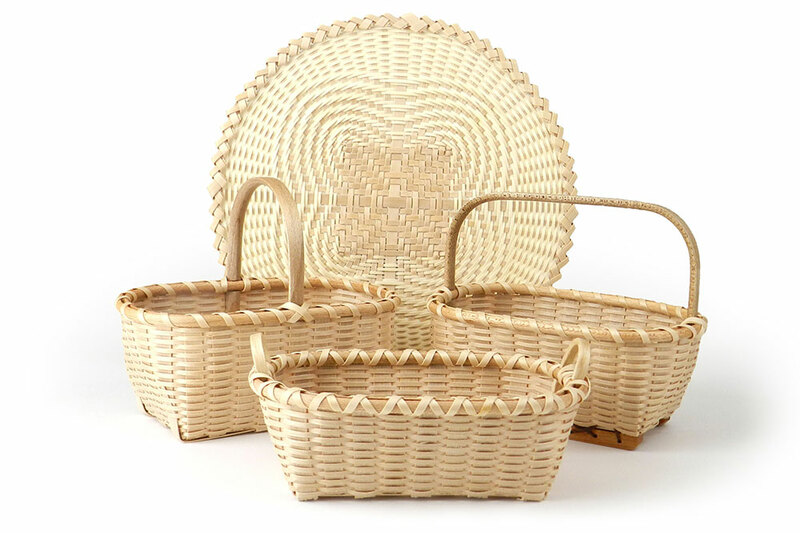 The baskets are woven of black ash over a wooden mold, and topped with hardwood rims and three different styles of handles, each unique to the use of the basket. 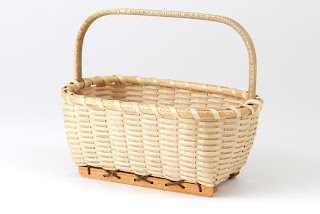 A classic utility basket from the Mount Lebanon Community in NY. Baskets like these would have had a variety of uses in Shaker society. 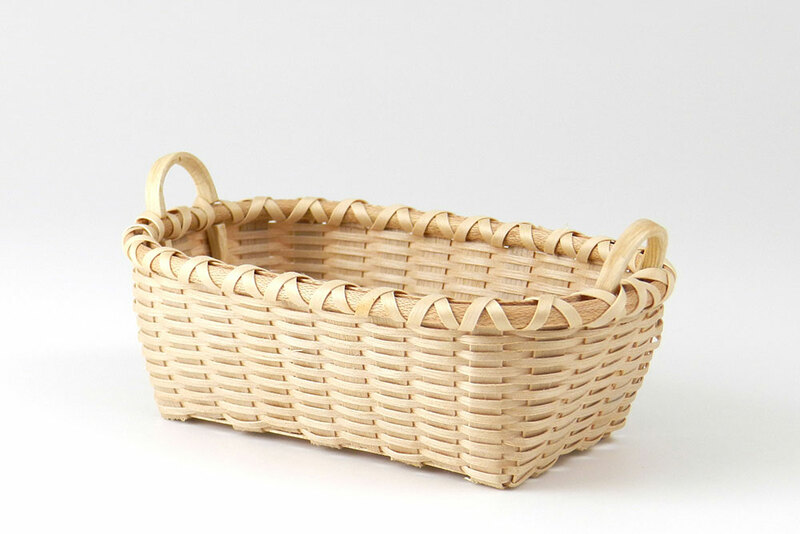 This one features feet woven into the corners and across the bottom to keep the contents off the floor and protect the bottom of the basket. 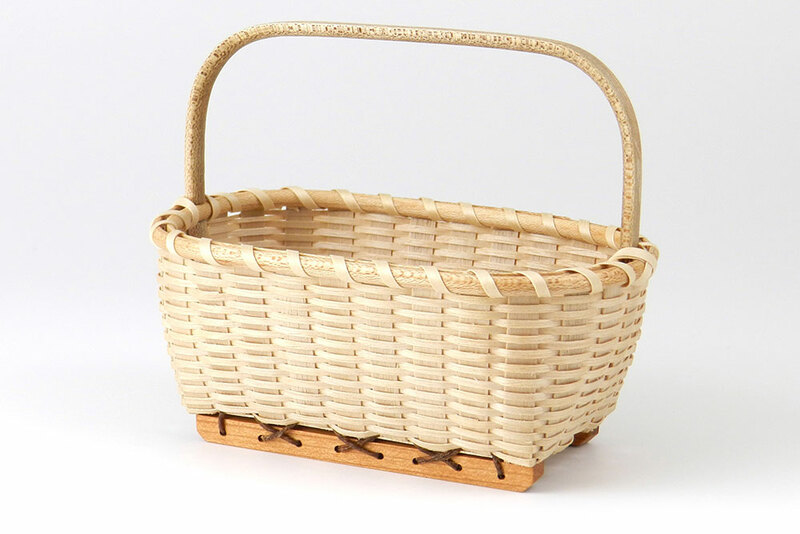 Another classic design, baskets like these were used by the Shakers as wet or dry wash baskets. The pair of carved sides-handles made it easy to carry a heavy load of laundry from the washroom to the line or to store clean linens for ironing. 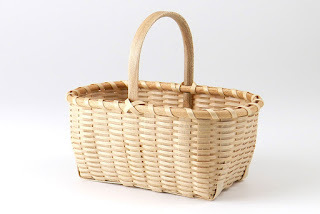 A basket like this was a workhorse, it was used to haul kindling and small stove wood. The runners lashed to the bottom kept the basket up and out of the snow, and made it into a sled for sliding from the woodpile to the building. This beautiful disc is a smaller version of the ornament JoAnn made for the White House Christmas tree in 1999. The quadrafoil pattern is woven of delicate 50/1000” black ash weavers and featured a fancy saw tooth rim. This basket is challenging so previous black ask and quadrafoil experience are mandatory. 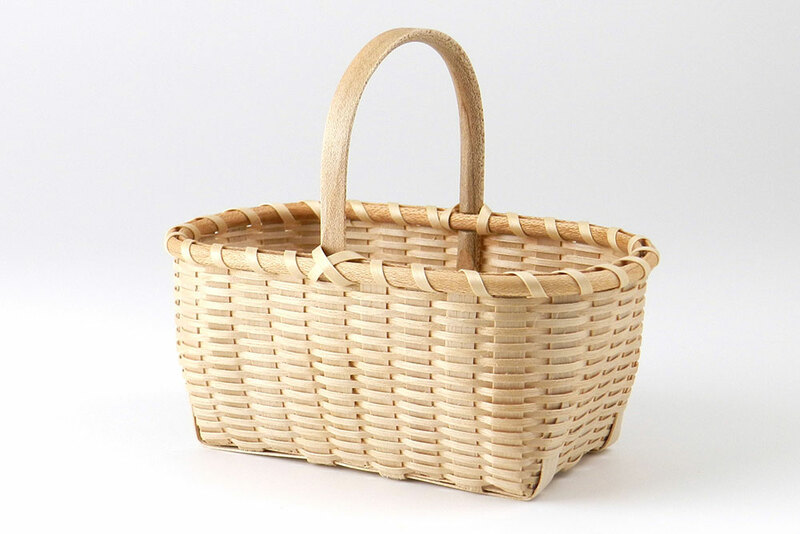 These baskets are challenging, previous black ash and quadrafoil experience are mandatory.